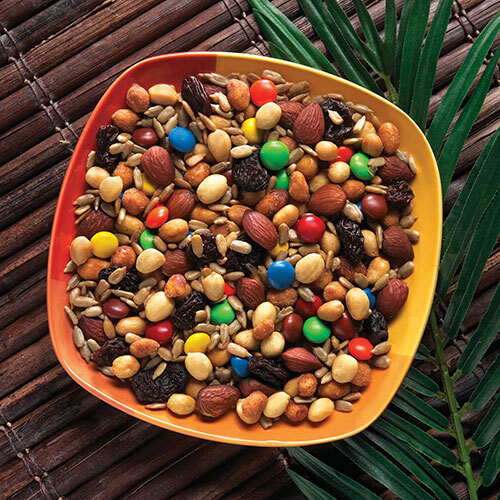 Trail mix is a combination of dried fruit, grains, nuts, and sometimes chocolate, developed as a snack food to be taken along on outdoor hikes. Trail mix is considered an ideal snack food for hikes, because it is tasty, lightweight, easy to store, and nutritious, providing a quick boost from the carbohydrates in the dried fruit and/or granola, and sustained energy from the mono- and polyunsaturated fats in nuts. Many claim that trail mix was first invented in 1968 by two California surfers who blended peanuts and raisins together for an energy snack. However, trail mix is also mentioned in Jack Kerouac’s 1958 novel The Dharma Bums as the two main characters describe their planned meals in their preparation for a hiking trip. The recipe for trail mix is most likely European in origin, where it has been known as a snack under various names in various countries since the 17th century. 1742 A plague of grasshoppers destroyed crops in Pennsylvania. 1900 Sir John Bennet Lawes died. An English agronomist, he founded the artificial fertilizer industry. Together with Sir Joseph Gilbert, they conducted agricultural experiments at Rothamsted Experimental Station, the oldest agricultural research station in the world. They are considered the founding fathers of agricultural sciences. 1900 Coca-Cola goes on sale for the first time in Britain. 1921 The first successful demonstration of aerial crop dusting was performed in Ohio by Lt. John A. Macready. He was flying a Curtiss JN-6H (Jenny). 1960 The National Agricultural Center & Hall of Fame established.